The Academic Advising Inventory (AAI) was developed by Roger B. Winston, Jr., Ph. D. and Janet A. Sandor, Ph. D. at The University of Georgia many years ago. Using the survey required specialized forms and an optical form reader to read the forms. Because of this technical hurdle, the survey sat on the shelf, unused for many years. When I discovered the Academic Advising Inventory (AAI), I realized that I could write an MS-Excel spreadsheet to perform the same programming the optical form reader did so long ago. So I did. 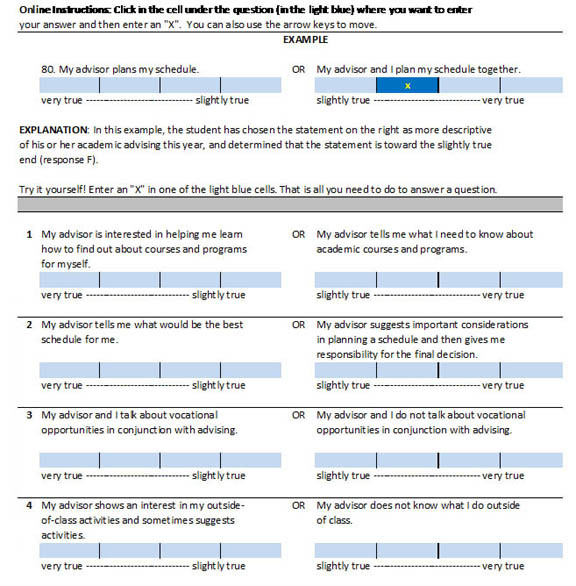 The purpose of the Academic Advising Inventory System is to enable schools to use the AAI and to minimize the time needed in administrating AAI surveys to students, to minimize the time needed to consolidate all the student surveys, and to report the results. 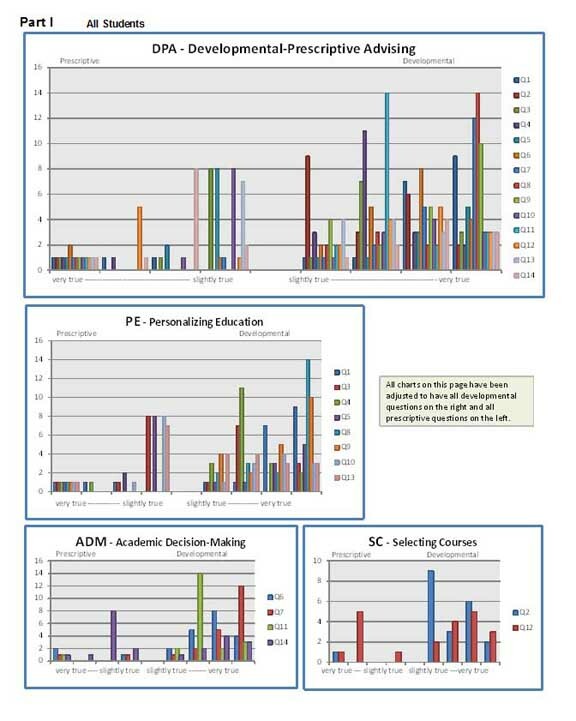 I am happy to say that my software implementing the AAI has been downloaded by tens if not hundreds of schools. Here is a link to the AAIS software. And here is a link to the NACADA clearinghouse page with the link to the AAIS.